TOTAL – 2 lbs 2 oz. What do you do when a plastic non-disposable item comes to the end of its useful life? My husband recently purchased a new iPhone and was left behind with a partially broken Otterbox case from his previous unit. 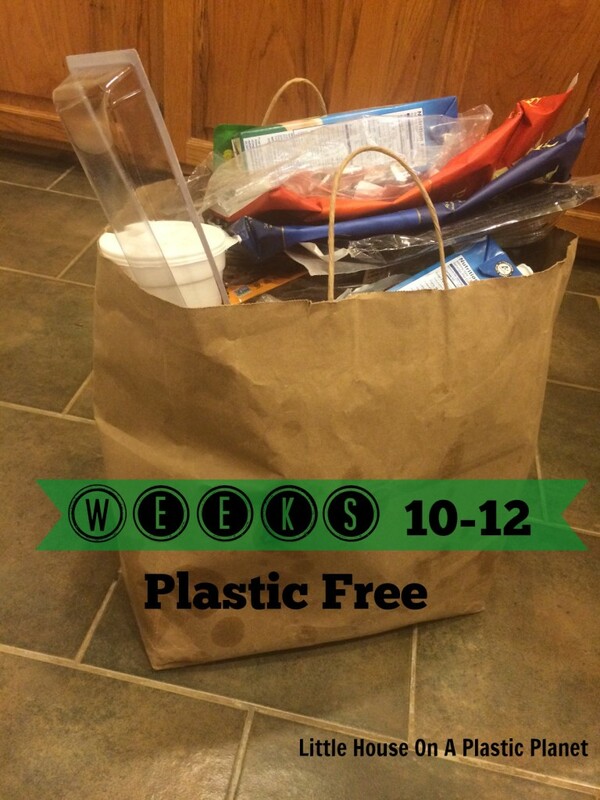 Any plastic that is recycled or disposed of in the garbage must be included in the weekly Show Your Plastic Challenge totals. I could toss it in the garbage with the thought, “I’ve no more use for this. Besides it can’t be reused, it’s broken.” That’s the easy route, right? REMEMBER TO THINK OUTSIDE THE PLASTIC BOX. I decided to take it apart and part out its pieces on eBay. It was entirely made of plastic and silicone and would otherwise sit in a landfill unable to decompose. The outer clip/holster sold almost instantly and the silicone rubber case sold shortly after. While the entire unit was not useful it had several pieces that were still intact and could be reused. My husband thinks I’m crazy sometimes with my de-cluttering binges, but this time he was tickled. Afterward he informed me that he only paid $15.99 on Amazon for the entire case several years ago and I just resold the good parts for the same price! What a thrill! Many times we discard items thinking that they can’t be reused due to being broken or out of date. However, there might just be another person out there wanting to avoid buying virgin plastic products that is looking for that exact piece of the unit you have to offer. eBay, Craigslist and freecycle.org are great resources to make a few bucks and keep plastic out of the landfill. The next time that you need to shop for a plastic item (like an iPhone case) think of buying secondhand to avoid buying new, virgin plastic. Update on our toothpaste substitutes, last week plan A was to try using plain baking soda in lieu of a new minty fresh plastic tube. Okay, we did it…once. Very salty to taste. While I didn’t gag, I won’t be looking forward to doing it again real soon. Plan B = homemade toothpaste hasn’t been executed yet. Plan C = kids strawberry toothpaste saved the week. Push come to shove, I’ll do it. I’ve just got to talk myself into it. Reusing pet food bags for garbage bags instead of buying garbage bags. Sampled Baking Soda for toothpaste substitute. Take kids on a Garbage walk to collect items to be recycled in the area around our home. Work on refusing all disposables & convenience items this week. Continue the next 10 items in the Personal Care Substitution worksheet from Beth Terry’s book Plastic Free – How I Kicked the Plastic Habit and How You Can Too. WHAT IS ONE THING YOU THINK YOUR FAMILY COULD DO TO REDUCE YOUR PLASTIC WASTE?